November « 2014 « Geekorner-Geekulture. 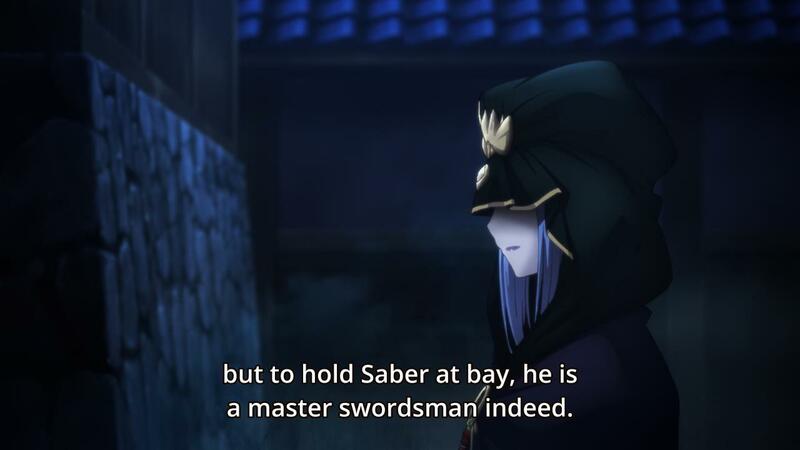 So, crazy Caster, Saber about to fight Assassin, and apparently we have two Servants working together here. Also, this is the shrine, home to Shirou’s friend, so how is he doing, and is he involved? 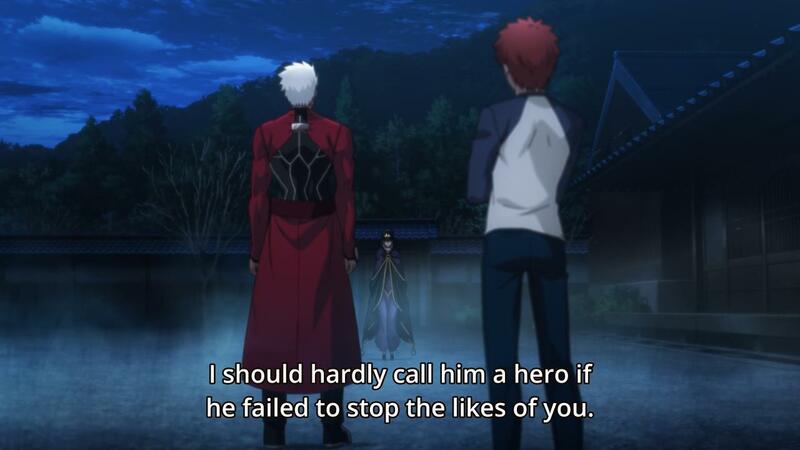 Well, we have Garcher with the witty one liners to rescue Shirou! 1) “I don’t know who he is, but to hold Saber at bay he must be a master swordsman indeed.” – This reads like entry-level fanfiction. Such awkward phrasing, especially if you know what era Archer is from. “I should hardly call him a hero if he failed to stop the likes of you.” – Make this stop, please.